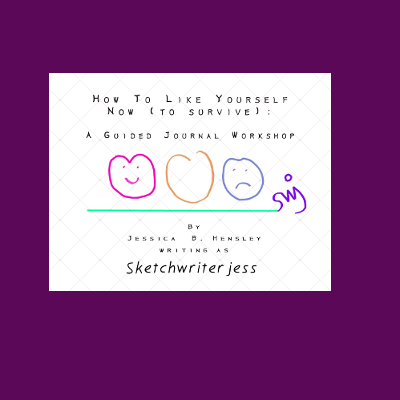 How To Like Yourself Now (To Survive): A Guided Journal Workshop is here! Check out the Sketchwriterjesspress Shop or JBHensleySWJ Shop to purchase. Cook for yourself and others. That includes baking. Helping parents when they need help. 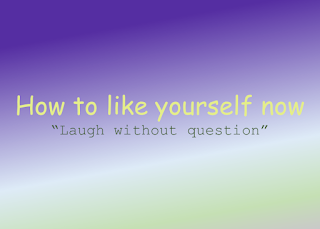 Laugh and not question being happy. In other words, laugh without question. Watch feel good movies no matter how hoke and silly. and leave quickly out the other. Hang onto the thoughts you want to hang on to. Let the people you love so much in real life know how much you care for them. Let the people you loved so much in fantasy go…in peace. Be kind to anyone, just because it’s the right thing to do. Be angry at someone when you need to. But calm and gentle the rest of the time. Reassure people you’ve got their back. Become the person you enjoy talking too. Become a person who loves to care about other people. Become a person who loves animals, though, you may eat meat, you would feel better if the animal you are eating has been killed humanely and cooked with respect. Tell the world how much you love God. Tell yourself how much you love God. Tell your family and significant other how much you love God. Know freedom is necessary for existence. Know violence is a temporary solution to an underlying problem. Know extreme anger through words is the same as violence. Know that people everywhere and every place have problems as you do. Take or leave criticism. Do not fight criticism, embrace it. Make yourself and your work better. Take a break from thinking and working and doing. Take a break from yourself by helping someone else. Let the world revolve around you for awhile, it’s all right. It’s normal to be the center sometimes. Allow life to happen when you are frustrated. In other words if you try something and it doesn’t work out, and there is a mistake, sometimes that mistake will lead you somewhere. Become the person that is helpful and wants love and affection and wants to give it back even more. Live in a climate you love. If you love Summer, Then go where it is summer year round. This goes for all other weather patterns too. Summer is this author’s favorite. Help when asked for help. Give an opinion when asked for an opinion. Accept opinions with grace, though they may be taken off the beaten path. 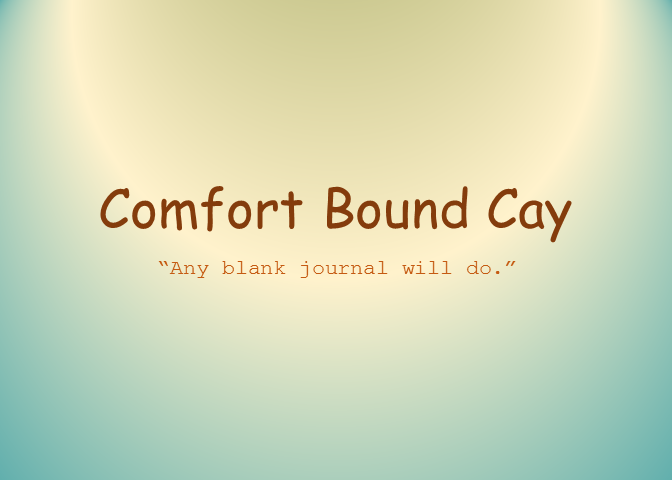 Recover at your own pace, yet make an effort to recover from the pain you have caused yourself and others, and others have caused you a little each day. Do an activity with passion, that is art, music, writing, cooking, even your job which may not be your favorite passion. Compliment people just because you care about them. Make peace and make little wakes by rocking the boat a little. Don’t lose the playful, mischievous streak from the past, it could help you survive the world we live in today. 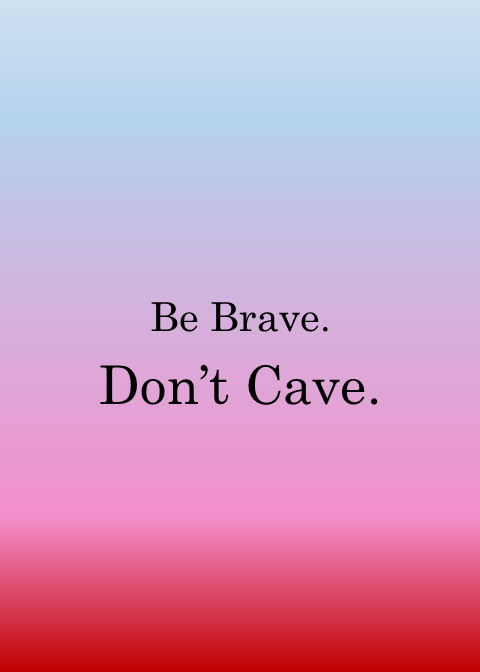 Please do not use this image or this quote in your work. However you may print this image and the poem for your personal use for free. 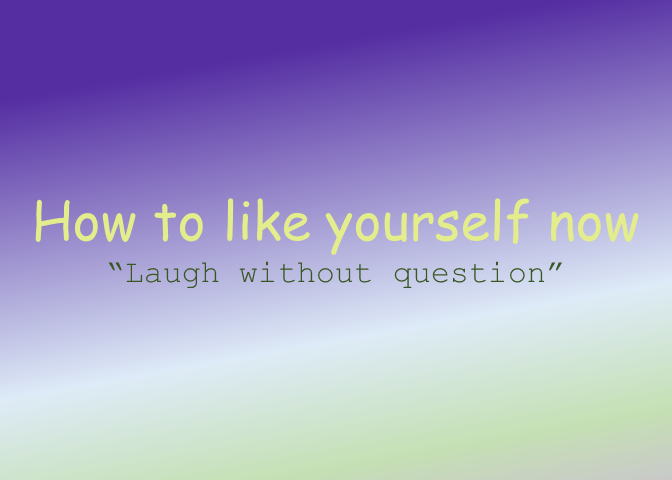 Copyright 2016 by Jessica B. Hensley "How to like yourself now"
There is a book for How to Like Yourself Now (to Survive), However, there are still more things that need to be updated after the first edition was published in pdf. 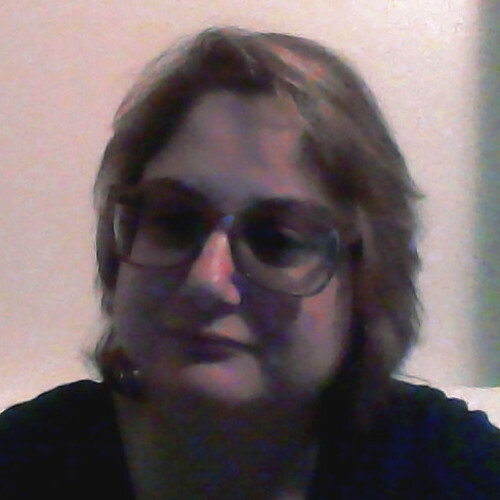 Would you like to read any of my other poems? Here they are.